Mud of trenchless engineering also said drilling fluid, it is composed of water and clay Along with a drilling fluid additives, the main protecting hole wall, carries out of the hole drilling slag and cooling drilling tools.Mud in the construction process, due to the drilling slag continuously into the mud, mud density, viscosity, solid content, such as change, can not meet the requirement of the construction site on the properties of slurry, must be treatment or purification, mainly for solid-liquid separation, separate the mud drilling cuttings of emissions after recycling use. There are two Purification method, primary sedimentation tank and mechanical equipment. The tank processing need to occupy part of the land; water content in drilling slag is high during tank ceaning, make the mud flow, construction conditions become bad, and may cause environmental pollution and water pollution hazards. As modern society civilization consciousness and the unceasing enhancement of environmental consciousness, mud problem cause more and more attention to the environment, sludge treatment technology Operation and equipment is developed and bring to the market. Sludge treatment technology at present mainly include shale shaker, desander, desilter and decanter centrifuge, according to the composition of slag, drilling mud treatment occasions and mud performance requirements, using different combination processing. International “the village” in Japan, Germany “fort”, “MS” France developed almost monopolized the international engineering market mud treatment equipment. In our country, municipal and other large-scale underground shield construction is introduced using the sludge treatment equipment in these companies. Offshore oil drilling platform also adopts complete set import mud treatment, in order to meet the requirements of Marine environmental protection and management of Marine dumping. Domestic construction system in sludge treatment equipment mainly from GN Solids Control. At present our company through years of domestic and international market of rig research has mainly developed the following processing equipment: GNMS – 150 (35 m3/h), GNMS – 200 (50 m3/h), GNMS – 350 (80 m 3/h), GNMS – 500 (120 m3/h), GNMS – 1000 (240 m3/h) this five categories equipment. Can also according to customer’s special requirement to customize the system. 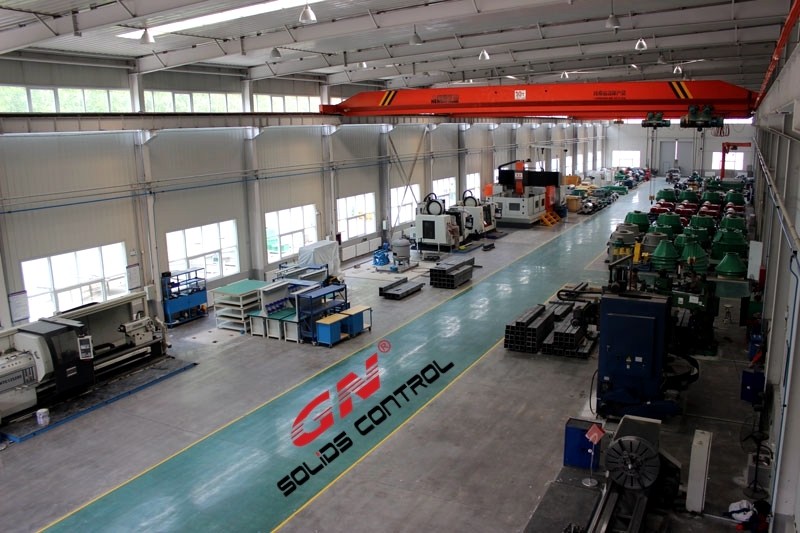 On 25th April, 2016, after more than 3 years of structure, Hebei GN Solids Control second brand new factory come into service. The brand new factory is located in No . a few Industry Road, Dachang Chaobai River Development Area, and is particularly only 2km away from your head quarter office. In this fresh factory, it will be mainly used regarding producing Decanter centrifuge and Top to bottom cutting dryers . And the production is 3 hundred sets Decanter centrifuge a year, and 100 Vertical cutting dryers per year. Since 3 years ago, Hebei GN Solids Control Co., Ltd with its innovative technology, reliable performance, fine service, as its competitive strengths, win many clients from home and foreign countries. Along with exported its products to be able to more than 60 countries as well as area. And successively recognized its USA and The ussr office, and also have cooperate lending broker in Australia, the Middle eastern side, Latin America. GN offers more than 10 patented items, and also got United States API certification, European CEcertificaton, CU-TRU certification in Russia. Specifically GN has got a very good suggestions from its clients, and possesses signed contract with world-class large oil companies in a very long-term strategic cooperation arrangement. GN Solids Control was founded in 07 in hebei Tangshan. 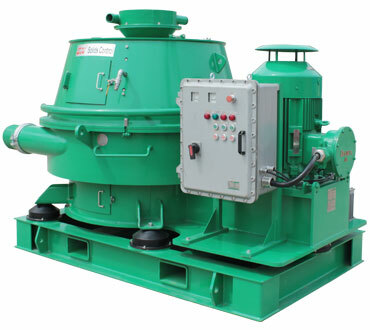 It has the previous name Tangshan GN Solids Control Co., Limited. The company registered capital regarding 30 million yuan, generation base is located in No . three or more Industry Road, Dachang Chaobai River Development Area (is only 30 kilometers faraway from Beijing international airport). The enormous has two manufacturing industrial facilities, the chaobai river manufacturing park with a total part of about 65000 square yards. The company has a full range involving mechanical processing and assessment equipment. Coating heat therapy equipment: automatic shot blasting machine, large automatic squirt chalk line, spray blow drying room, integrated heat treatment method equipment, solid melting tools. Blanking equipment has: CNC plasma cutting machine, flat screen cutting machine, bending unit, plate bending rolls, and so on Adding machine equipped with: imported big gantry pentahedron, many brought in machining center, shenyang unit tool CNC lathe a couple of, vertical lathe and so on. Additionally , the company has 2 pieces of dynamic balance musical instrument, three-dimensional detection arm regarding France, and automatic welding machine and other advanced control and testing equipment. GNCD series vertical cuttings dryer is a kind of single stage horizontal scraper centrifuge discharge of continuous work. GNCD series vertical drilling cuttings dryer can effectively recycle oils in the cuttings, processing capacity in 30 to 50 tons per hour, usually after processing oil content lower than 3%, conform to the requirements of the typical 6% OOC. GNCD series vertical cuttings dryer can be used in various types of drilling mud, it is mainly used for oil and compound base mud drilling cuttings. Similar to other solids control equipment, such as shale shaker, decanter centrifuge, cyclone separator, GNCD series vertical cuttings dryer processing capacity is depending on mud viscosity. And mud viscosity is determined by many factors, including solid content, grain size, types of drilling fluid and drilling fluid temperature. GN solid control vertical cuttings dryer recycled large proportion of synthetic base mud and oil-base mud, and make it back to the mud circulating system. In the past, the recycling of mud as waste discharge to the environment. GN solids control vertical cuttings dryer cuttings percentage of oil (OOC) is reduced to below 5%, which conforms to the emission standard in many parts of the world today. In many parts of the world, our goal is to replace all oil-base mud drilling cuttings emissions into the environment of oil content down to 5% or less, or even lower down. 1. The efficient solid-liquid separation, can minimize drilling cuttings of mud content, reduce the amount of waste processing. 2. Effective separation and a greater proportion of recycled slurry, and reuse in the mud circulating system, recycled by vibrating screen run pulp, mobile mast and mesh plug such as the loss of mud. 3. Commonly used wear parts to replace from the top device; Don’t need any mobile device, can replace the belt. 4. Interchangeable tungsten carbide rotor blade and the gear box, avoid the excessive corrosion, reduce the failure of the main components. OTC acrylic show is finish, that was hold in 2-5 May well, 2016, in Houston, ARIZONA, USA. 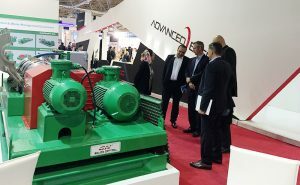 After about three month’s preparation, GN Solids Control successfully finishes the actual OTC oil show. We certainly have two booths there to help deeper our brand affect, equipment for show including most recent model decanter centrifuge, newest model vertical cuttings dryer, High G drying shaker, shaker screen etc . The particular visitors can feel the premium quality and premium technology devices by touching and observing the real equipment at the special day. 14inch decanter centrifuge is most popular for the reason that wide application and very good price. The application range contain mud weight cutting and also fine solids removal. And in addition for drilling waste management. Regarding the price, we targeted on high end market in addition to overseas market. this centrifuge is equivalent to Swaco 518 CENTRIFUGE / Derrick DE1000 centrifuge. But the price of USA centrifuge is much higher than our brand name. The price of GN SOLIDS COMMAND or GN Solids Ameirca is much better when compared with USA manufacturer. For OBM or BINQ, most client will decide on VERTICAL CUTTINGS DRYER, but also for WBM, you may choose Substantial G shaker for decrease operation cost. GNCD930 straight cuttings dryer is used to get drilling cuttings treatment in rigsite or at one particular mud plant location exactly where all cuttings transport for the center location for ultimate treatment. After treatment of GN vertical cutting s dryer, the oil on cuttings can reduce to below five per cent. This is same working efficiency as CSI dryer or maybe SWACO dryer. GN usable cuttings dryer already placed in market for over 3 years, plus the mature product is benefiting much more drilling service companies, excellent price, stable working functionality and less maintenance. With regard to OBM or SBM, almost all client will choose STRAIGHT CUTTINGS DRYER, but for WBM, you may choose High Gary the gadget guy shaker for lower functioning cost. 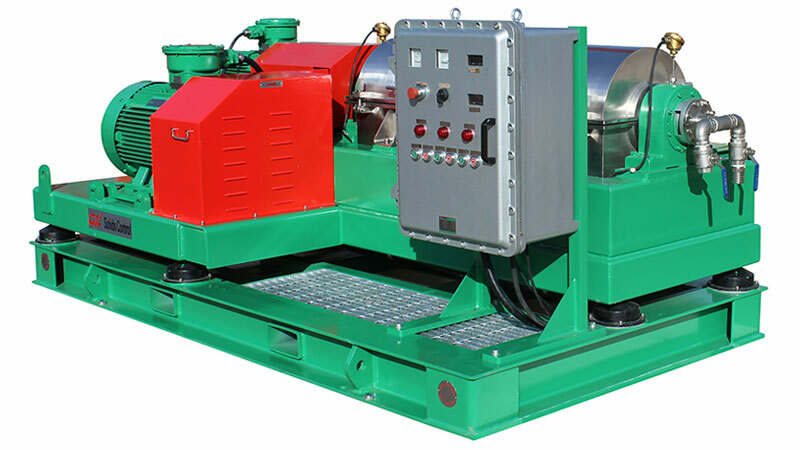 High G machine drying shaker is same as typical shale shaker. Just the Grams force is bigger. That unit is mostly used for normal water based mud drilling cuttings treatment. After treated, the particular oil on cuttings might be reduced to about 10% to 20%. After OVER THE COUNTER oil show, GN Solids Control and drilling waste management equipment get endorsement from big clients in various countries. GN Solids Control will continue to do better to guide better the market.